Our doctors and staff strive every day to realize a shared vision of uncompromising excellence in dentistry. All our professionals at Spadola & Vincent, DMD maintain the highest levels of accreditation and pursue ongoing education to stay abreast of the latest trends in dentistry. 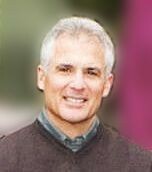 Dr. Carl Spadola was awarded his doctorate in dental medicine from Fairleigh Dickinson University in 1981. Prior to attending Fairleigh Dickinson University Dr. Spadola earned his undergraduate degree in biology from Providence College. While at Providence, Dr. Spadola was inducted into the Alpha Epsilon Delta Honor Society. The society is dedicated to the encouragement and recognition of excellence in preprofessional health scholarship. 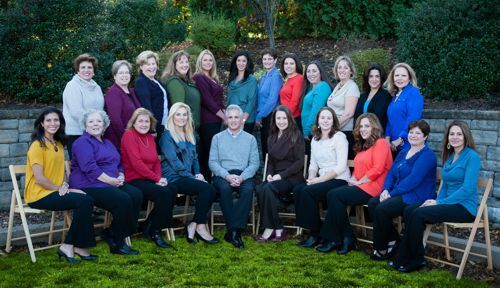 Dr. Spadola is a founding member of the practice which has served Cheshire and surrounding communities for 33 years. His dedication to clinical excellence and incorporation of new technologies has contributed to the growth of a multigenerational practice. Dr. Spadola is a 33-year member of the American Dental Association and a member of the Academy of General Dentistry, whose mission is to foster continued proficiency through quality continuing dental education. He has been recognized by his peers by his selection to Top Dentists in Connecticut Magazine. Dr. Spadola and his wife, Tara, have two children, Olivia and Matthew, and are long time residents of Cheshire. 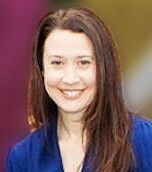 Dr. Amy Vincent earned her doctorate in dental medicine from the University of Louisville School of Dentistry in 2003. Prior to attending dental school, Dr. Vincent attended University of Louisville where she studied Biology. She was a Merit Scholarship awardee throughout college. While attending the University, Dr. Vincent kept her clinical skills current and worked as an Expanded Duty Dental Assistant (E.D.D.A) in private practice. She also performed community service at local schools and educated children on proper oral care. Dr. Vincent relocated to Cheshire in 2005 from Louisville, Kentucky, when she married Dr. Brenton Lahey, a local periodontist, and native of Cheshire. When she joined the practice in 2005, she brought with her a love for treating both children and adults, with a strong commitment to delivering the highest level of state-of-the-art, comprehensive and compassionate dental care. Dedicated to staying current and proficient with leading edge dentistry, she has incorporated some of the most advanced dental technology and techniques into her practice, and participates regularly in continuing education and advanced training courses throughout the country. Dr. Vincent enjoys spending time outside the office with her family. She enjoys playing golf and traveling. With the average hygienist serving our patients for 15 years, we offer the highest level of care.